Carson City Health and Human Services (CCHHS) is reporting a significant increase of positive Influenza (flu) cases in the region. Overall, Carson City, Douglas and Lyon Counties have experienced many more cases of influenza this year than the same time last year. In fact, reports of illness and hospitalizations are in some cases twice that of this time last year. The healthcare system (hospitals, clinics, and EMS) is working very hard to meet the demand for services. Flu viruses are thought to spread mainly from person to person through droplets made when people with flu cough, sneeze or talk. Flu viruses also may spread when people touch something with flu virus on it and then touch their mouth, eyes or nose. Many other viruses spread these ways too. Persons infected with flu may be able to infect others beginning 1 day before symptoms develop and up to 5-7 days after becoming sick. That means you may be able to spread the flu to someone else before you know you are sick as well as while you are sick. Young children, those who are severely ill, and those who have severely weakened immune systems may be able to infect others for longer than 5-7 days. getting medical attention, especially if they are at high risk of complications. People at high risk of complications include children under five years-old, adults 65 years-old or older and pregnant women. If you or your child gets sick with flu-like illness, we recommend that you (or your child) stay home for at least 24 hours after the fever is gone except to get medical care or for other necessities. The fever should be gone without the use of a fever-reducing medicine. Make sure your children receive all recommended immunizations including an annual flu vaccine. Reinforce all of the above preventive behaviors practiced at school. Make sure children get plenty of exercise, sleep and healthy food. Keep sick children home, especially if they have a fever above 100o F, diarrhea, vomiting or a severe cough. Notify your child’s healthcare provider if your child develops difficulty breathing or a new onset of wheezing. If your child has asthma, please make sure we have a copy of your child’s Asthma Action Plan. Finally, it is not too late to get a flu shot! Vaccination is still the best protection against the flu and your individual flu shot serves as your contribution to community wellness. 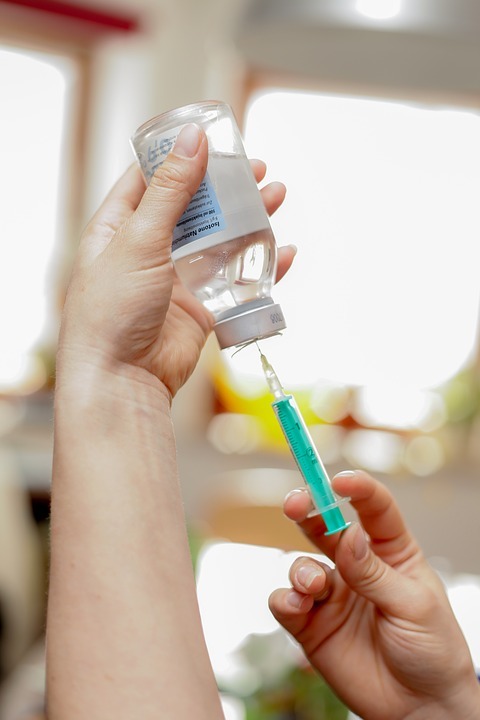 It will help protect the elderly and all babies under 6 months old who are too young to be vaccinated, as well as the vulnerable in our community with cancer, respiratory illnesses and weakened or compromised immune systems. Your efforts help build Community Immunity! Thursday from 8:30 a.m. - 11:30 a.m. and 1 p.m. - 4:30 p.m.
For more information, please read here the Carson City Health & Human Services news release.